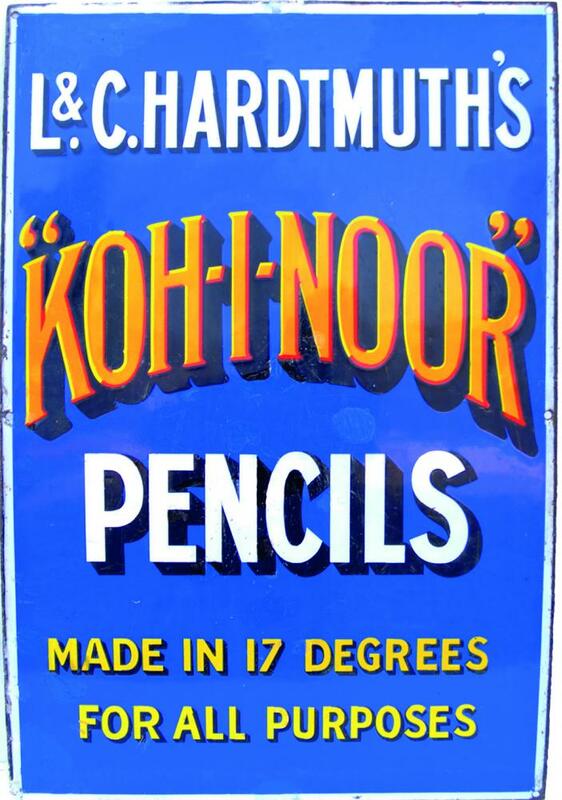 Enamel Advertising Sign 'L&C Hardmuth's Koh - I - Noor Pencils - Made In 17 Degrees For All Purposes'. Orange, red, white and yellow text on a blue ground. Measures 20 x 30. Has some restoration but good overall and most certainly a rare sign.